Hello all, few days back my little niece was asking me about Christmas tree. After whole explanation and answering her questions in detail she wanted to make a small Christmas tree for this Christmas. And I had to decide on simple Christmas tree craft, a 3 year old can make. After going around Pinterest for some inspiration I finally had five super easy Paper Christmas Tree crafts. What I think is you can even make these small Christmas trees as Christmas decorations or may be as Christmas ornaments. This one is easiest of the lot. Just fold the paper and glue it. 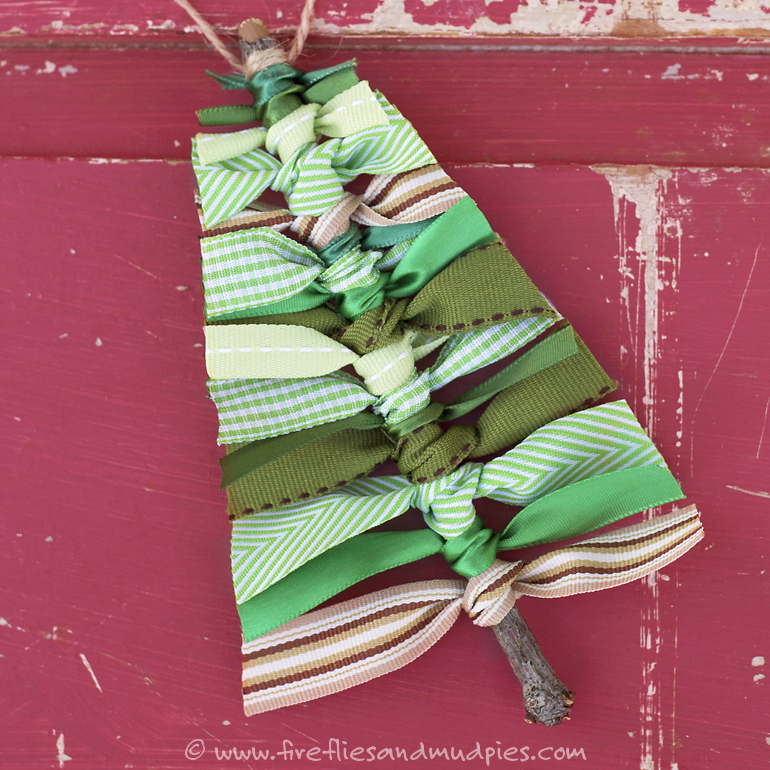 I think I'm going to give my niece this mini Christmas tree craft for start. Get some different lengths left over cloth ribbons and tie them on any stick. 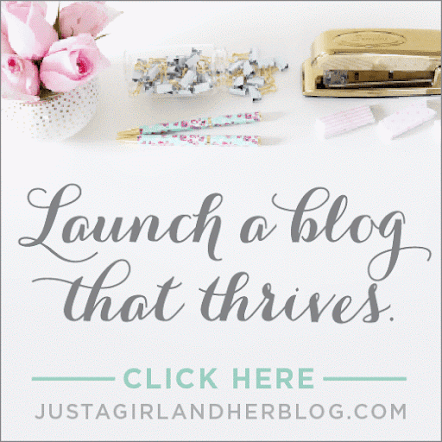 The blog is actually using it as Christmas ornament. But you can also use it as kid's Christmas craft. 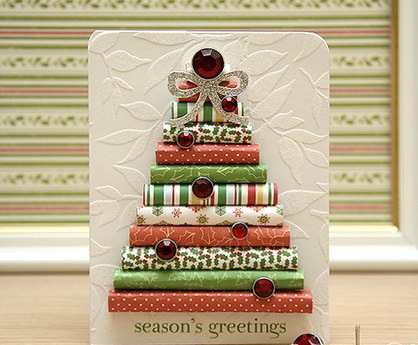 Another accordion fold Christmas tree - A Christmas Tree Pop-Up Card. 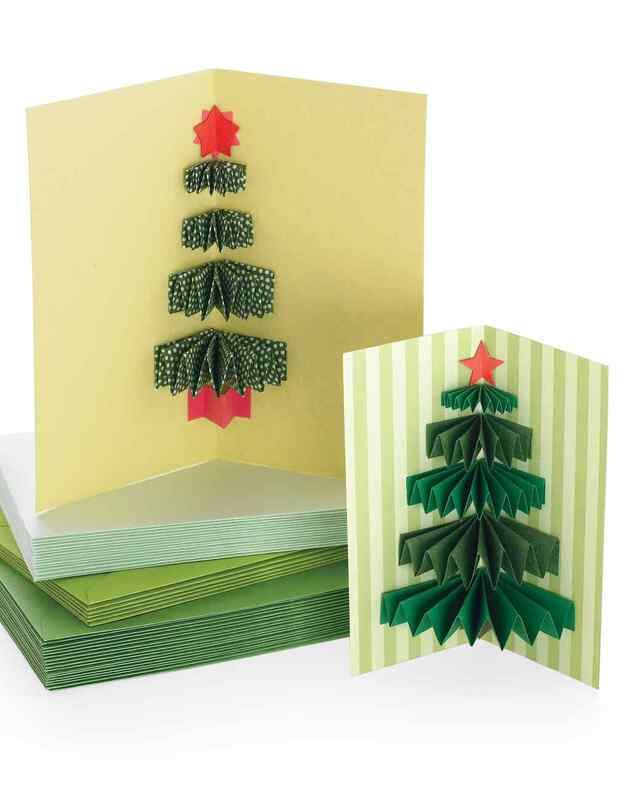 Make accordions of different heights and glue it to the card. Add some pretty paper embellishments to complete. Get your paper scrap, roll them into pipes of different sizes and glue them together may be on the card or just one upon the other. Embellish with what ever the kid like. OK, this is my favorite mini Christmas tree of the season. Make some origami basic folds on different size papers and glue them on top of each other. 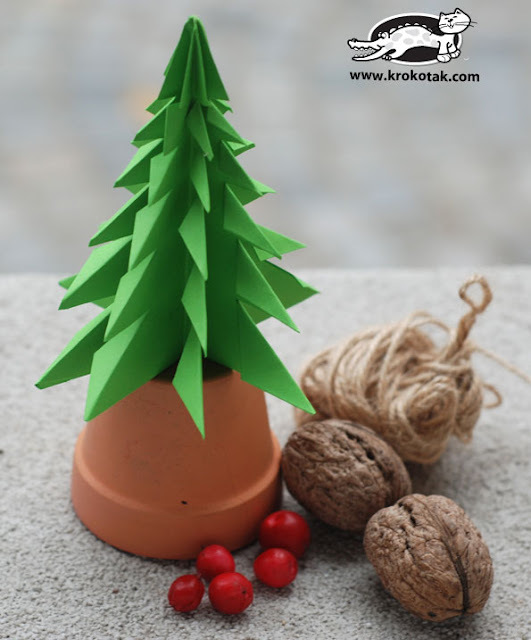 Let the little one use his/ her imagination to decorate the paper Christmas tree. 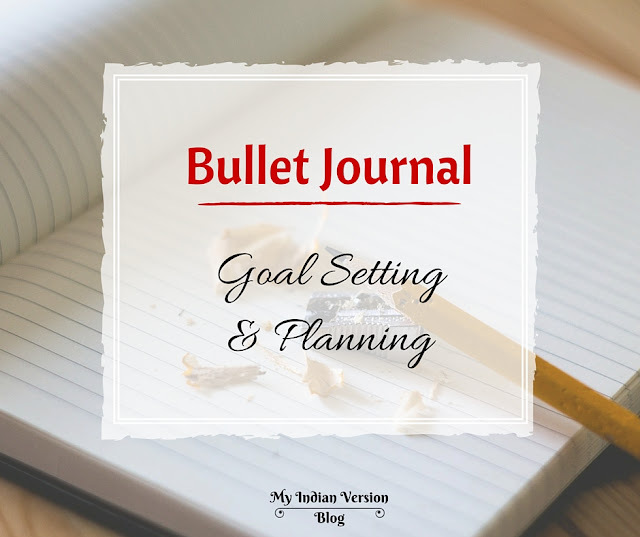 Which one have you decided to make? Oh, all the five mini trees! Yeah! 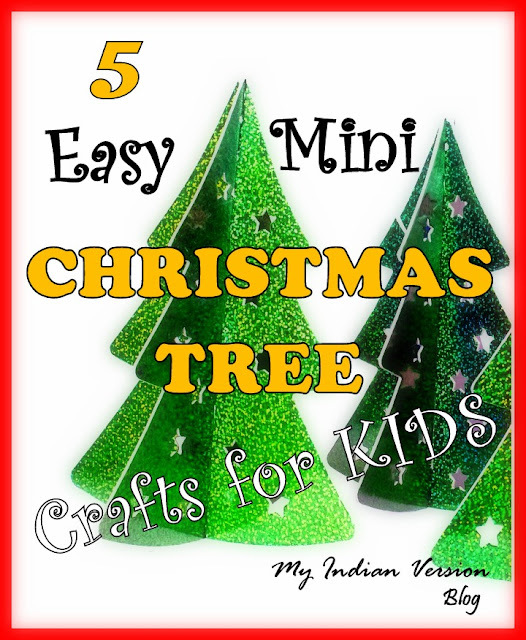 :D But aren't they really easy DIY Artificial Christmas trees? In coming post I will share more easy and elegant Christmas decorations ideas. 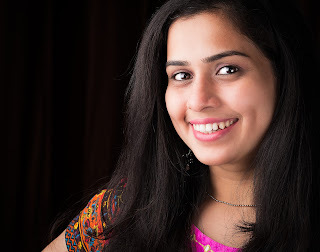 So stay tuned and just follow me here on Pinterest and Google+ for the upcoming updates. I would like to hear what crafts are you making with your little ones for this Christmas. Do comment below. Love you..